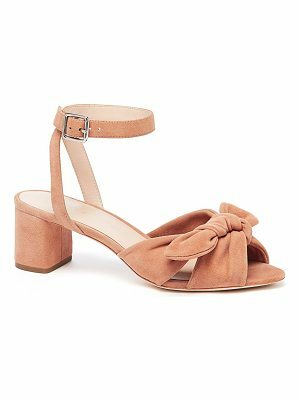 Strappy knotted suede ankle-wrap sandal on block heel. Self-covered block heel, 3.5" (90mm).Self-covered platform, 1" (25mm).Compares to a 2.5" heel (65mm).Suede upper. Open toe. 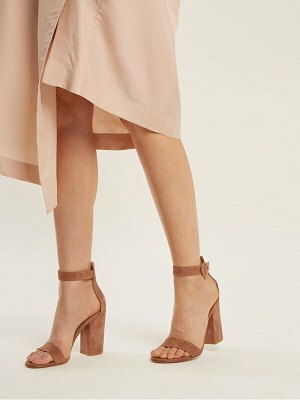 Wraparound ankle ties. Leather lining and sole. Made in Brazil.